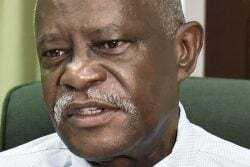 (JAMAICA OBSERVER) THREE years ago when Delene Seabourne reunited with her father, her expectation was that the relationship would be long-lasting. However, little did she know that death, allegedly at the hands of a family member, would have snatched him from her. 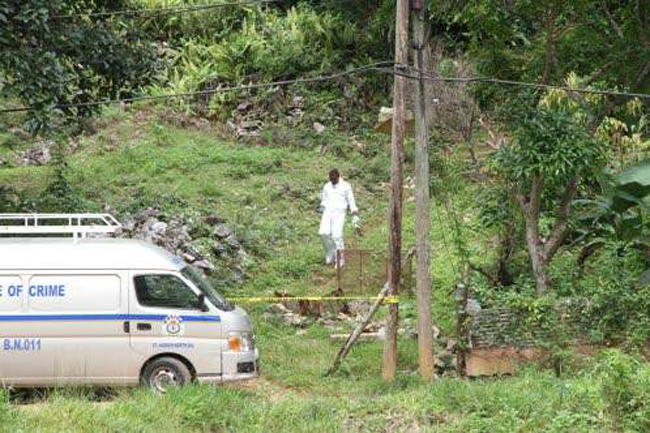 Delene’s 73-year-old father, Errol, was found in a shallow grave Sunday night after his relatives filed a missing person’s report. He was last seen on Friday morning. 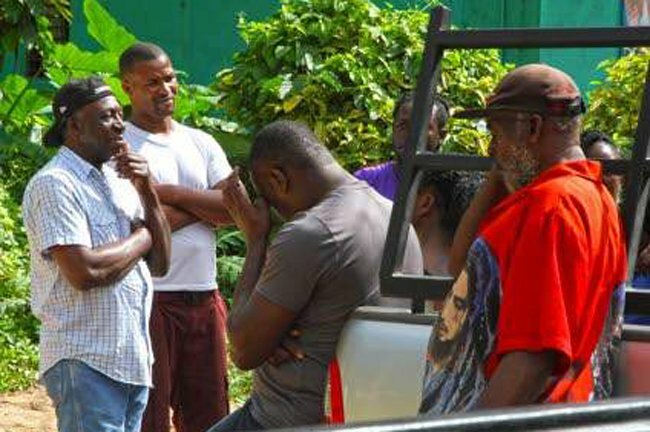 The relatives who had been preparing for another family member’s funeral when they last saw him, said it was unlike him to not show up at the “set-up” that evening and the funeral on Saturday. On Sunday, when one of his nieces went to his house to make checks, she was told by the deceased man’s step-grandson, who was living with him, that he had not seen him since Tuesday. The niece detected a foul odour and raised an alarm. The residents conducted a further search that led them to an area where they saw fresh soil and the dead man’s hand protruding from the dirt. “I told him to be careful and he said, ‘Yeah, man, if anything I will call the police.’ So yesterday mi frighten when my brother call mi and a say dem cannot find him. Two days now dem a look for him,” she said. “Mi a say, ‘Look how we make plan because my babyfather dead and nuh bury yet,’ and I called him Wednesday and a tell him ’bout it and him a tell mi say if anything call him,” she said. 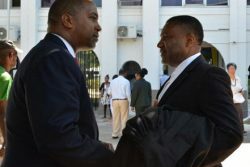 Errol’s son, Kingsley, who was also building a relationship with his father, said he had heard similar stories in the media but never thought his father would be brutally killed. “It is so sad to know that your own grandson that you try to live for [allegedly] do something like this… The elder always try to protect you and make you know what is right from wrong. I don’t really know what triggered it…” Kingsley explained. The deceased man’s niece, Karen, who led the search, said when she went to the police station to make a report she was told that only two officers were at the station and that they were unable to visit the community. She was reportedly asked to return on Monday. “The place was dark so mi ask him if him can turn on the light for me. Him say mi fi come inside come turn on the light. So then me say to him say, ‘Mi wah go inna the house to see if mi uncle take sick inside there.’ Then him say mi must come open the door… I took something and open the window. After we opened the window mi say, ‘Mi smell something stink’. And then him say, ‘Today’s date is what?’ Mi come out and mi scream out… Wi start to search and wi saw some fresh dirt here and wi look. When wi move away the dirt we saw his hand pointing up in the air,” Karen explained. The residents, who were as traumatised as the Errol’s relatives, said Errol was a good man. “Anything you asked Mr Errol for and him nuh give you, a have him nuh have it. Him loving and kind, friendly with everybody. Anybody him nuh friendly with is who just come, who come yesterday. I’m saddened by it because is a good man. All now yuh see mi yah, mi still cyaan believe,” Carol Wellington said.